Each term, a Governor will be in focus and they will be visiting the school to work with the staff and children, experience the life of the school in order to keep them fully involved with the school. Each governor will have a specific focus for their time with our school improvement plan as a key priority. Other Governors will continue to be around the school in addition to the Governor of the term who is in focus. Please click here to read governor Jan Thompsons’ report on the whole school trip to the pantomime. Mrs Caroline Hukins – Focus key action 5 and 6 of the School Improvement Plan 5. To improve spelling across the school including spelling within writing. 6. To improve writing outcomes across the school especially for vulnerable groups. Caroline Hukins is one of our 5 parent governors, she is also our Vice-Chair of the Governors and has 3 children in the school. Her background is in fundraising and management within the charity sector, and she currently works part time as a fundraiser for the Royal Forestry Society. She is our subject link governor for Literacy, and so will be coming in to see how literacy is taught throughout the school, and to support our various initiatives for improving the childrens’ achievement in this area. Caroline is also the link governor for school dinners and Modern Foreign Languages so will have a look at both of these areas during her time in school. We really look forward to welcoming Caroline into school. If you see Caroline around please feel free to approach her. Mrs Meggen Cantillon – Focus key action 7 of the School Improvement Plan – To develop Maths Mastery across the school. Meggen Cantillon is one of our 3 Foundation (Church) governors, she has 2 children in school. Meggen’s background is in business planning, marketing and strategy and she currently works part-time at Alcatel-Lucent. Meggen is involved in various activities with Holy Cross Church, including sitting on the Parochial Church Council and you may have seen her helping out at Messy Church as well. Look out for Meggen at the school and if you see her around, please feel free to approach her with queries or comments. Rev. Shirley Danby – Focus key action 3 of the School Improvement Plan – To maintain outstanding SIAMS 2017. Rev. Shirley Danby is one of our 3 Foundation (Church) governors. Mr David Tarr – Focus key action 2 of the School Improvement Plan – To improve attendance and punctuality to meet 97% national target. As Foundation Governor Mr Tarr along side Reverend Shirley also carried out a number of Worship/RE visits and carried out a SMSC ( Spiritual, Moral, Social and Cultural) and Christian spiritually learning walk. Mr. David Tarr is a Foundation Governor who will be working on Key action 2 (of our school improvement plan. We warmly welcome Mr. Tarr into the school and look forward to sharing with him what we are doing. If you would like to speak to Mr. Tarr during his focus month, please make contact via the school office or do approach him if you see him in school during his visit, he would be delighted to meet you. Jon Hughes – Focus key action 1 of the School Improvement Plan – To ensure specific groups of pupils make better than expected progress. 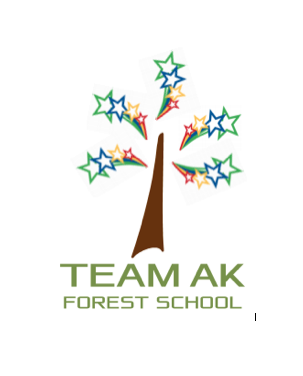 “I have been a governor of AK School since June 2013 and I am currently Chair of the finance and premises committee. I have lived in the village for 25 years and my 2 sons were both pupils here, so it is good to be involved with the school as a governor. Mr. David Tarr is a Foundation Governor who will be working on Key action 5 (of our school improvement plan. We warmly welcome Mr. Tarr into the school and look forward to sharing with him what we are doing. If you would like to speak to Mr. Tarr during his focus month, please make contact via the school office or do approach him if you see him in school during his visit, he would be delighted to meet you. The Governor of the term is Adam Loveridge and he is focussing on Key Action 4 of the school improvement plan (Developing an effective outdoor learning environment). Adam is one of our parent Governors and is very happy for you to approach him/contact him should you have any questions for him. Meggen Cantillon is one of our 3 foundation (Church) governors, has 1 child in the school, who is finishing up Year 1, and has another child starting Reception in September. Meggen’s background is in business planning, marketing and strategy and she currently works part-time at Alcatel-Lucent. Meggen is involved in various activities with Holy Cross Church, including sitting on the Parochial Church Council and you may have seen her helping out at Messy Church as well. Meggen will be meeting with Mrs. Saville to discuss how the school has taken on the government’s new Curriculum 2014 as well as looking at Assessment and Monitoring Data, which is a focus of our school improvement plan this year. Look out for Meggen at the school and if you see her around, please feel free to approach her with queries or comments. Jan Thompson is one of our Co-opted Governors. Jan was our acting head in 2014 from Easter until the Summer holidays. Jan is Chair of the Curriculum and Monitoring committee. She is also the SEND and Pupil Premium link governor. Mark Cryer is one of our 5 parent governors. He has two daughters currently at the school in the infants. He is a local tradesperson. He also undertakes ultra-marathon running, so he clearly has drive, perseverance and commitment to go the distance. He is on the finance and premises committee so is coming in to visit school at crucial budget setting time and will be discussing future premises ideas. Whilst he is in school, he will also be seeing how the school has taken on the Government’s new Curriculum 2014. Adam Loveridge is one of our 5 parent governors. He is chair of the staffing, policies and communications committee, and has 1 child in class 2 and 1 in class 5. His background is in design and communications and he currently runs his own business supplying books to museums and art galleries in London and throughout the UK. Adam will be focussing on the EYFS (Early Years Foundation Stage) during this month and we very much look forward to welcoming in for his planned visits. Please approach Adam if you have any questions for him, he will be happy to help. Kate Cliffe is one of our 5 parent governors, and has 1 child in the school, in year 2. Her background is in education and she currently works as a Year 6 teacher in Faringdon, Oxfordshire. 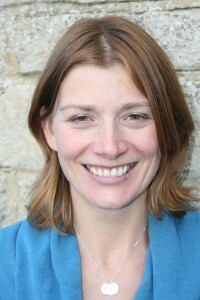 She is a trained OFSTED Inspector and Teaching and Learning Consultant for an Oxfordshire multi-academy trust. She is our subject link governor for Maths, and so will be coming in to see how Maths is taught throughout the school, and to support our various initiatives for improving the children’s’ achievement in this subject. Kate will be meeting with Mrs Voss to discuss the Maths Action Plan, and will see individual class teachers and examples of how we teach maths throughout the school. She will support us with the delivery of our school improvement plan in this area, which is a key focus for the current year. We look forward to welcoming Kate into school…. If you see her around please feel free to approach her with any queries or comments. Caroline Hukins is one of our 5 parent governors, she is also our Vice-Chair of the Governors and has 3 children in the school, in years 1 and 2. Her background is in fundraising and management within the charity sector, and she currently works part time as a fundraiser for the Royal Forestry Society. She is our subject link governor for Literacy, and so will be coming in to see how literacy is taught throughout the school, and to support our various initiatives for improving the childrens’ achievement in this area. Caroline is also the link governor for school dinners and Modern Foreign Languages so will have a look at both of these areas during her time in school. Caroline will be meeting with Mrs Saville to discuss the Literacy Action Plan 2014 2015, and will visit classes to see how we teach reading, writing, phonics, and spelling throughout the school, she may even encounter some drama and speaking and listening on her way. She will support us with the delivery of our school improvement plan in this area, which is a key focus for the current year (Key action 1: improving writing and Key Action 2: improving reading). We really look forward to welcoming Caroline into school. If you see Caroline around please feel free to approach her. Mr. David Tarr is a Foundation Governor who will be working on Key action 7 (developing church links) and 4 (developing subject leaders) of our school improvement plan. He will therefore come into school to work with Miss. Thomas our RE and worship leader and Miss Kibblewhite our PSHE leader to monitor how RE and PSHE are planned for; how the children learn in these lessons; meet our new worship council; observe a range of worship led by different people across the school and observe the Buddy system in practice. We warmly welcome Mr. Tarr into the school and look forward to sharing with him what we are doing. He will help us evaluate how well we are working on the plan and feedback to the Governors to keep them informed. If you would like to speak to Mr. Tarr about RE, worship or PSHE during his focus month, please make contact via the school office or do approach him if you see him in school during his visit, he would be delighted to meet you.